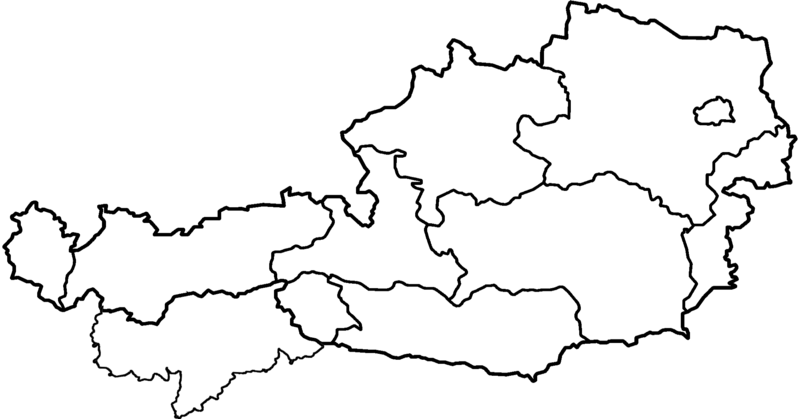 Lower-Austria is the biggest federal state, and accordingly has got the most tourist sites in Austria. It would be too long and complicated to write here a complete list of all the possible city tours and excursions in Lower-Austria. For this reason, we have decided to describe here some of the most popular excursions in Lower-Austria. Besides, we stay at your disposal concerning the organisation and carrying out of any other possible excursions. We will gladly prepare for you, your excursions and city tours in Lower-Austria. Our team will prepare a tailor made personal program. We will propose solely our rental service, or a package with bus rental, the organisation of your excursion as well as the carrying out of a English speaking tour guide for your city tours and guided visits. The Wachau is an idyllic valley situated between Melk and Krems an der Donau which can be easilly reached by bus from Vienna as well as Linz or even Salzburg. Since 2000, it is listed as a UNESCO world heritage site, and this is no wonder: among all its tourist attractions, the Wachau boasts the Willendorf Venus, the many accounts and legends about Richard Lionheart, but also the innumerable curiosities such as Melk, Göttweig abbey, Krems old town and many others. Moreover, the Wachau is one of the most important wine regions of Austria and is renowned for its orchards which attracts several thousand visitors every year. Austria Bus is at your disposal to help you organise unforgettable excursions and tours in the Wachau. 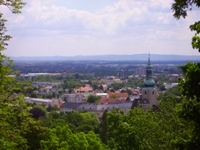 The city of Baden, renowned for its spas and thermal baths, is situated only a few kilometres south of Vienna. Thermal springs were discovered in roman times, and later a spa opened for the imperial family. Nowadays, Baden offers many possibilities for spa treatments and baths. In addition to this, one can find in Baden the largest Austrian Casino, a summer theatre, a winter theatre, a great parc and the old town in which you can wander, both of which display typical characteristics of the Biedermeier period. Austria Bus will gladly take care of the organisation of your excursions and city tours in Baden, as well as transfers to the casino, the city theatre of Baden and the many hotels and spas of the city of Baden. Vienna Woods is the eastern-most tip of the Alps, situated at the edge of the Vienna basin. The fact that it is often called "the green lung of Vienna" is easily justified: the mix of pine trees and deciduous trees means the Vienna Woods stay green all year round, even in winter. Thanks to its luxuriance, it participates actively in the production of oxygen, particularly enjoyed by Vienna. Viennese and travellers alike usually appreciate Vienna Woods during our excursions. Many Nature tourist attractions attract visitors: Sparbach zoo, "Seegrotte" of Hinterbrühl subterranean lake and many others! In the list of curiosities which attract many travellers, we can also mention the Holy Cross Cistercian Abbey, as well as the memorial dedicated to Rudolf, the former crown heir in the village of Mayerling. Hiking fans also come in order to enjoy the walking paths criss-crossing the Woods. Austria Bus will gladly organise your excursions in the Vienna Woods, as well as your transfers to Sparbach zoo, or can even guide you from start to finish in all the walking paths. Marchfeld is a region situated between Vienna and Bratislava which is worth a visit for several reasons: first, many battles that were important for Austria took place there, then, this region is a giant kitchen garden on the east of Vienna and also supplies the country with important amounts of crude oil. One can also find there numerous pleasure castles dating from the imperial Austria, like the Eckartsau and Niederweiden castles and the baroque Hof castle of prince Eugene of Savoy. Austria Bus will gladly organise your excursion in Marchfeld, possibly in combination with a visit to city of Bratislava or the Donau-Auen national parc if you wish to go on a full day tour. The Weinviertel, sometimes translated "Wine district", is the northern-most part of Lower-Austria, it lies with the Danube to the south, the Waldviertel ("forest district") to the west, the Czech Republic to the north, and Slovakia to the east. As its name implies, Weinviertel is known around the world for its vineyards. The principal attractions the Weinviertel has to offer are Poysdorf and Retz, the latter boasting among others, the possibility to visit its cellars, which spread over a surface three times greater than the city itself! Austria Bus will be glad to organise for you bus tours, panoramic sightseeing tours to the heart of the Weinviertel, combined, if you so wish with a visit to the cellars of Retz or even a ride on a tractor around the vineyards of Poysdorf, both with their wine tastings! The Benedictine Abbey of Melk is one of the most famous monasteries in Austria, as well as one of the most visited attractions in the country. The incredible library, the sumptuous collegiate church, the impressive imperial appartments, the museums as well as the gardens and the excellent restaurant attract thousands of visitors from all around the globe every year. Melk Abbey is an important stop on an Austrian bus tour between Salzburg and Vienna, or even Linz. An excursion to Melk Abbey goes perfectly with a cruise on the Danube, or a bus city tour. Austria Bus would be pleased to organise your tailor made half day, or full day bus excursions. The Donau-Auen National Parc is a spectacular natural scenery of the city of Vienna. Observe the fauna and flora of the landscapes is an experience which young and adults alike will never forget. Moreover, the nature parc proposes a wide and complete array of tourist activities. Austria Bus is at your entire disposal to plan your bus transfers to and from the Donau-Auen National Parc and organises half day and full day excursions in the parc as well as tailor made sightseeing tours throughout Austria. Today situated near Petronell and Bad Deutsch-Altenburg, the city of Carnuntum was, under the romans, the capital of Pannonia. It was as such more influential than the great military camp of Vindobona, in the present region of Vienna. Whereas Vindobona gained in importance with time, Carnuntum lost some of its influence from the 4th century onwards and became almost deserted. It is thus logical that it is there that the traces of the roman period are best preserved. Composed, among others, of the military camp, the Heidentor, pagan and Paleo-Christian cult sites, Carnuntum is a real archaeological discovery park which represents a popular destination for cultural journeys and school trips. Austria Bus proposes its services for half day and full day bus excursions, from Vienna or if you wish so, from many other cities of Lower-Austria and Burgenland. The Waldviertel, also sometimes called "Forest district", is the north-western district of Lower-Austria, surrounded by the Danube at the south, Upper-Austria at the west, the Czech Republic at the north, and the wine district at the east. The Waldviertel has a very appropriate name as it is one of the most wooded areas in Europe. Besides, it is renowned for its many abbeys and monasteries, castles and palaces, but also for its fascinating geological characteristics. For excursions in the Waldviertel, we particularly recommend the Blockheide, then Maissau, the largest vein of amethyst in the world, as well as Altenburg, Geras and Zwettl abbeys, Rappottenstein, Ottenstein and Rosenburg castles or even the basilicas of Maria Taferl, Maria Dreieichen and Maria Laach am Jauerling. The team of Austria Bus will be happy to organise for you tailor made bus excursions and city tours in the Waldviertel. Only a few kilometers North-East of Wiener Neustadt, at the edge of a small town called Lichtenwörth, there is a juwel of the history of industry: the Nadelburg Museum. What used to be the metal working factory "k.k.priv. Messing- und Metallwarenfabrik" - which was once the biggest factory in the Austrian Empire and became after 1747 the first Austrian factory where objects were made with the aid of machines - is now a private museum of local history belonging to the Bachtrögl family. There is no more factory of the same kind left anywhere in the world - and this world-wide unique building now offers its guests a world-wide unique experience: thanks to thousands of collector's items passionately gathered along the years, visitors can enjoy a realistic insight into everyday life during the industrial revolution and the history of laborers from 1747 to 1930. The sightseeing tours described above are only some examples of the many excursions and city tours we propose. Of course, you have the possibility to rent buses and minibuses for other sightseeing tours, for excursions to the thermal city of Semmering, to observe the splendid scenery of the Bucklige Welt, the abbey of Lilienfeld and for any destination in Lower-Austria. We would be glad to help you and advise you if you wish to organize a bus excursion in Lower-Austria. In addition to the sightseeing tours and city tours in Lower-Austria, we also put our comfortable buses and minibuses at your disposal for your airport transfers in Lower-Austria as well as in the whole of Europe. 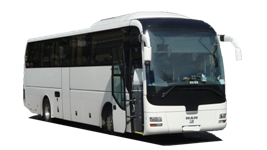 Bus hire next to Heidenreichstein: Coach & conductor in all places of Heidenreichstein and everywhere in Lower Austria, or at any place of your choice in Austria. Order coaches close to Melk: Coach hire in all places of Melk and in any area of Lower Austria, for a transfer or a tour in Austria. Bus with chauffeur next to Poysdorf: Coach & conductor in all places of Poysdorf and in all places of Lower Austria, for a tour or a transfer in Austria. or by phone at+43 1 966 02 61 or +43 6991 952 49 34 to book a bus for a city tour, an excursion or even a bus transfer in Lower-Austria. We will gladly advise you about the different possibilities. We will then quickly propose a tailor made offer. We are looking forward to reading from you!